Condolences to the family and friends of Mr. Oscar De La Renta who died on October 20,2014. He was one of the worlds most famous fashion designers,he was born in the Dominican Republic. Based on the information encoded into his date of birth and birth name he was coded to the age of 80. We wish him a safe and joyous journey as he begins his journey through eternity. Condolences to the family and friends of Ms. Misty Upham,she was an American actress best known for for her role in the 2008 film Frozen River. Here again we see the death of a very young beautiful person,and we wonder how does this happen,is this another random event ,why did she have to die so young,no one seem to have the answer to such strange deaths,there seem to be no explanation that we can wrap our minds around,so we chalk it up to fate and the greater wisdom of the universe. 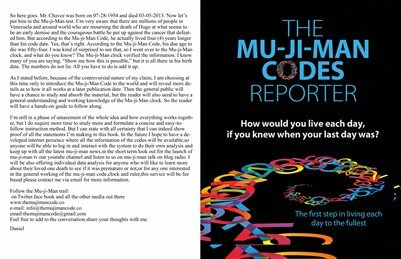 The mu-ji-man codes encourages us to explore the infinite wisdom of our creator ,by using the faculities we have been endowed with to find the answers to such confounding questions,if we were to deal with death from a practical view point and look at ourselves as a created entity ,then it will not be too much of a stretch to realize that we are coded for every experience we encounter along our journey through this eternity. As sad as it may seem ,and as unbelievelable as it may appear,Misty Upham died exacty to the date of her coded age.Based on the information encoded into her date of birth and birth name she was coded to die at the age of 33,although her chronological age is 32 her actual death age is 33,when you add the time in the womb and the few months between her dob and dod. We wish her peace and blessings as she continues her journey into eternity. Condolences to the family and friends of Ms.Elizabeth Pena, who died on October 14, 2014. She was an American actress and director. Based on the information encoded into her birth date and birth name she was coded to the age of 56. We wish her a peaceful journey through eternity. Condolences to the family and friends of Ms. Jan Hooks,who died today ,10-09-2014. She was a film actress and comedienne. Based on the information encoded into her date of birth and birth name ,she was coded to the age of 58. We wish her a safe journey through eternity. Condolences to the family and friends of MS.Sarah Goldberg,who died on September 27,2014.she was an American actress. According to the news release from her family she died of natural causes, in her sleep of possible heart problems. Whenever a young person such as Sarah dies, we are always puzzled and find it hard to make sense of it,but the simple truth of the matter is,we are all coded to die and its coded into our date of birth and birth name,based on the information encoded into her date of birth and birth name,she was coded to the age of 36,so as sad as it is to believe she is gone at this young age of forty,she actually outlived her coded age by four years. We wish her god’s speed and blessings as she begins her journey into eternity. CONDOLENCES TO THE FAMILY AND FRIENDS OF MR. GEOFFREY HOLDER WHO DIED TODAY OCTOBER 06,2014.HE WAS AN ACCOMPLISHED DANCER,ARTIST AND ACTOR FROM THE CARRIBEAN NATION OF TRINIDAD AND TOBAGO. BASED ON THE INFORMATION ENCODED INTO HIS BIRTH DATE AND BIRTH NAME HE WAS CODED TO THE AGE OF 85. 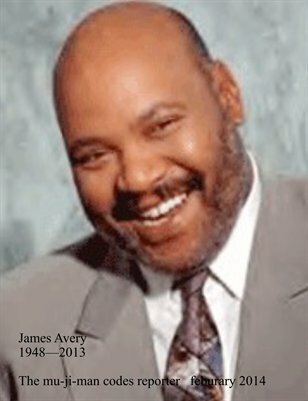 WE WISH HIM A PLEASANT AND PEACEFUL JOURNEY THROUGH ETERNITY. CONDOLENCES TO THE FAMILY AND FRIENDS OF MR. PAUL REVERE, WHO DIED ON OCTOBER 04,2014.HE WAS AN AMERICAN MUSICIAN AND BAND LEADER. BASED ON THE INFORMATION ENCODED INTO HIS DATE OF BIRTH AND BIRTH NAME ,HE WAS CODED TO THE AGE OF 74. WE WISH HIM A JOYOUS JOURNEY INTO ETERNITY. Condolences to the surviving family and friends of Mr. Duvalier who died on October 04,2014. He was the former president of Haiti . Based on the information encoded into his date of birth and birth name he was coded to die at the age of 62. We wish him a peaceful journey through eternity.